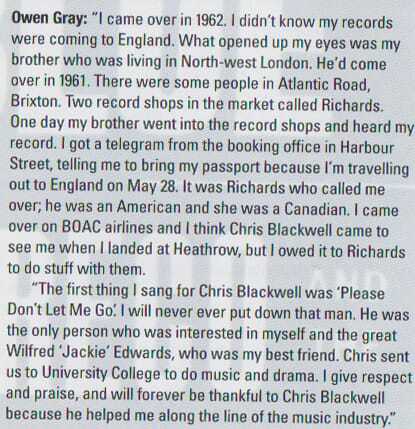 When Own Grey was brought to England for the first time in May 1962 by the Rickards couple,(American husband and Canadian wife),who had two record shops in Brixton,London,because of his elder brother Ralph Gray who expedited his contact with the Rickards, Owen Gray continued recording and performing in England. He performed at the renowned Marquee Club at 90 Wardour Street, in London’s fashionable West End where he shared the stage with Soul greats like Ben E King, Wilson Pickett, Sam and Dave, The Platters, Solomon Burke et al and he wowed the audiences just like them and more than them at times. 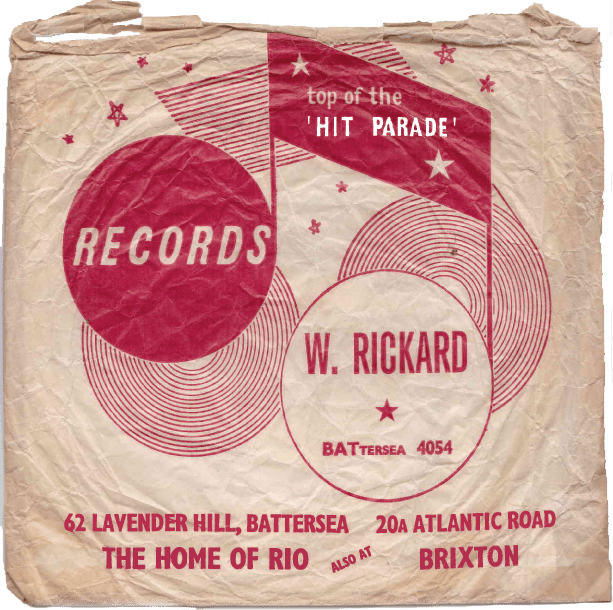 20A Atlantic Road was later used by Joe Mansano for the exclusive sale of Pama releases. Mark Griffiths.